Starting a business can be daunting. 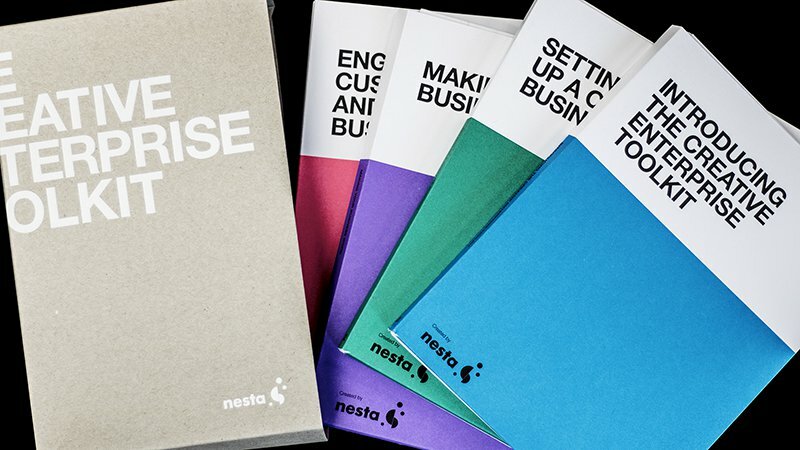 That's why Nesta created the Creative Enterprise Toolkit — a practical resource to help you plan, build, test, communicate and launch your new creative business. If you're interested in launching your own creative business and don't know where to start, you can purchase the Creative Enterprise Toolkit through Nesta's Shopify store. The Creative Enterprise Toolkit has been used by hundreds of successful creative entrepreneurs around the world, from fashion designers, to freelance artists, to tech start-ups. “Starting a business can be daunting but nonetheless exciting prospect. Being given the tools to help you break down exactly what you need to do and when you need to do it has helped me manage my business needs one step at a time instead of visualising a mammoth task and not knowing where to start." This short video features three creative entrepreneurs who have used Nesta's creative enterprise toolkit to help plan, build, shape, test, launch and communicate their new creative business. You can purchase a printed copy of the Creative Enterprise Toolkit for £19.99 via our Shopify store.